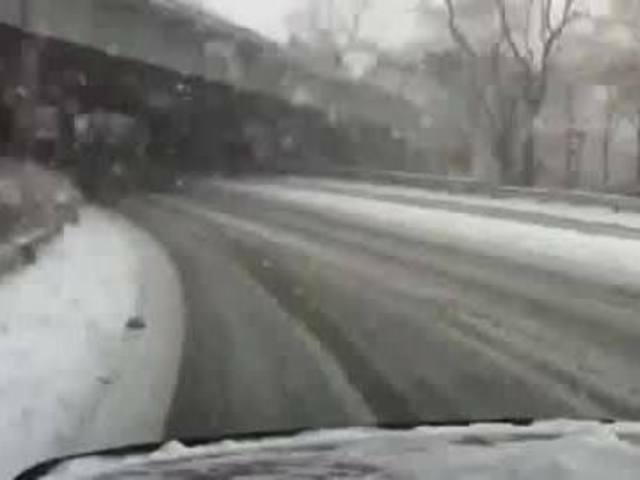 On Dec. 8, 2010, a sneaky lake effect snow squall swung into downtown Cleveland and dumped heavy snow across the city just in time for the afternoon rush hour. The squall developed during the late morning hours that day and was roughly 5 to 7 miles wide. 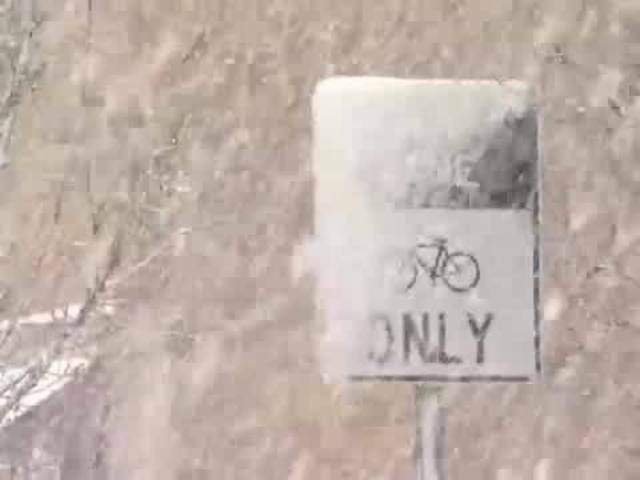 It set down a narrow band of heavy snow from Downtown Cleveland east into Chester Township in Central Geauga County. This is the squall at 5 p.m., Dec. 10. 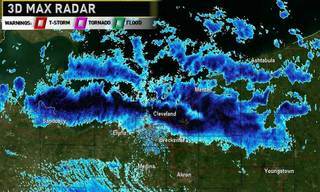 Notice the heavy band oriented west to east over Lake Erie, sliding onshore right over Downtown Cleveland. The heaviest portion of the band then slides east over I-271 into Geauga County. 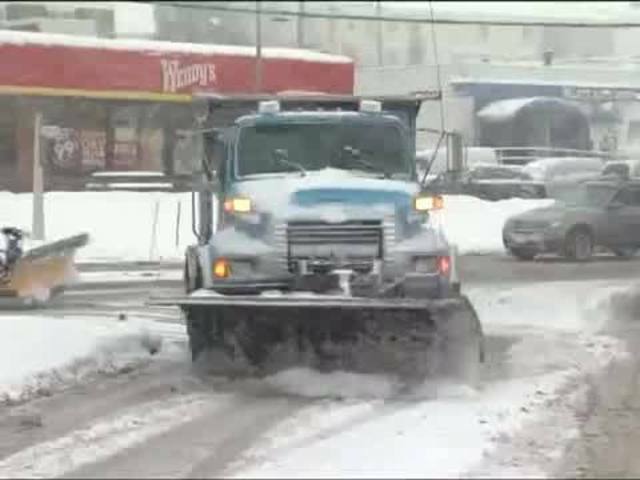 By the afternoon rush hour, 6 to 8 inches had accumulated in Downtown Cleveland. Travel out of downtown was slowed to a crawl. A normal 20-minute commute into nearby suburbs took 2 to 3 hours. Every major artery in and out of Downtown Cleveland was slowed to a crawl. This seriously hindered road crews from clearing and salting any snow until traffic cleared well after 7 p.m. The snow tapered off quickly during the evening hours. But, when all was said and done, downtown measured between 6 & 10 inches of snow during this surprise lake effect snow squall.